present, it will not heal unless the mechanical load on it is removed. Among the methods used for this purpose are complete bed rest, crutch-assisted gait, wheelchair, and prosthetics. However, these methods are impractical for the majority of patients to use for a period of several weeks while the ulcer heals. Common approaches for reducing the load on the ulcerated area include the use of a total-contact cast or other commercially-available casts, and therapeutic footwear. and midfoot; the cast reduces peak plantar pressures in these areas by almost 40-80%, but is less effective with ulcers located on the hindfoot. In one study, the use of a total-contact cast resulted in almost 90% of plantar ulcers healing within an average of 6-7 weeks. This method permits walking while uniformly decreasing the pressure on the sole of the foot. The ulcerated area should be debrided and covered with a thin dry dressing. A total-contact cast is applied with the patient in the prone position and the foot and ankle in a neutral position (i.e. with the foot flexed at a 90°-angle to the ankle). A layer of fiberglass tape is usually applied over the plaster, to strengthen the cast and allow early ambulation. A small rubber rocker is added for walking. A plywood board is inserted between the rubber rocker and the cast in order to minimize the possibility of the sole of the cast becoming cracked. The cast should be changed every 3 -7 days. The use of a total-contact cast is contraindi-cated when infection or gangrene (Meg-gitt-Wagner stages 3-5) is present. Skin atrophy and an ankle brachial index below 0.4 are considered to be relative contraindications to the use of a total-contact cast. Although a total-contact cast permits walking, patients are instructed to minimize their activity in order to reduce the pressure on their soles. Instability and the risk of falls are disadvantages of this cast. Both in- and outdoor compliance is another advantage, especially for the non-compliant patient, since this cast is not easily removed. Prefabricated walkers function on a similar principle to the total-contact cast and are removable, commercially available, lightweight casts (see Figure 9.11). They are not designed to provide total contact, and the addition of inflatable or adjustable pads reduces movement of the limb within the cast. A custom-molded removable insole is adjusted to reduce plantar pressure. Use of removable cast walkers allows inspection and dressing of the wound on a daily basis. 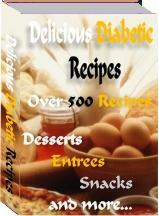 They may be used in patients with infected and ischemic ulcers. In addition, patients can bathe and sleep more comfortably. The rocker shape of the outsole reduces further pressure on the forefoot while standing and walking. In addition, these casts are ideal for clinics, which do not have personnel with experience in plastering. This is a lightweight, well-padded fiberglass cast, extending from just below the toes to the ankle, and it is worn with a cast sandal (Figure 2.14). 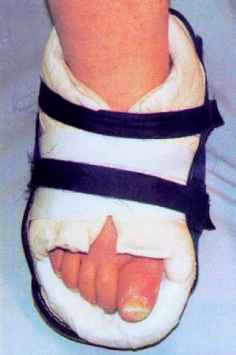 It may be fabricated as a removable or non-removable cast. With appropriate modifications of the pads, the scotch-cast boot reduces pressure on any region of the sole when needed. 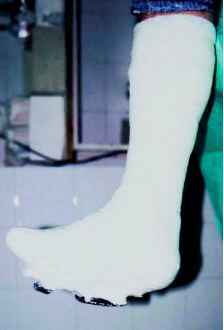 Removable scotch-cast boots can be used in cases of both ischemic and infected ulcers, since drainage and wound dressings are easily applied. As with the total-contact cast, experience in plastering is required. on the opposite shoe may be necessary to equalize the limb length. These shoes are easily removed for dressing changes. Heel-free shoes (see Figure 5.18) reduce peak plantar pressure on the heel by transferring pressures to the midfoot and forefoot. They have the same advantages and disadvantages as half shoes. Both half and heel-free shoes are commercially available. Ulcers located on midfoot (mainly over bony prominences due to neuro-osteoarth-ropathy) are best treated with the use of customized insoles with windows under the ulcerated area. 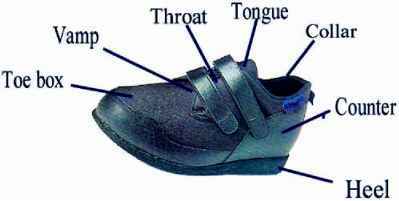 Shoe terms are shown in Figure 2.15. How to offload pressure from the foot? Why plaster in a total contact cast?